Won Best New Chef at: Equinox, Washington, DC. Education: Johnson & Wales University in Providence, RI. 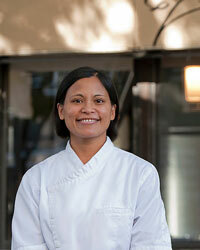 Experience: Hawthorne Lane, San Francisco; Dry Creek Kitchen, Healdsburg, CA; Gramercy Tavern, New York City.